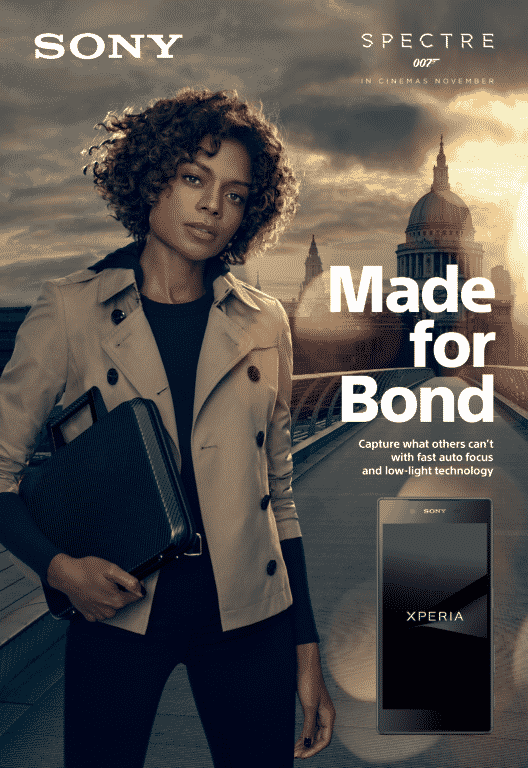 To promote the new James Bond film, Spectre, and to advertise the new Sony Xperia phone and the Sony RX100iv camera, Sony came to us to create a campaign. 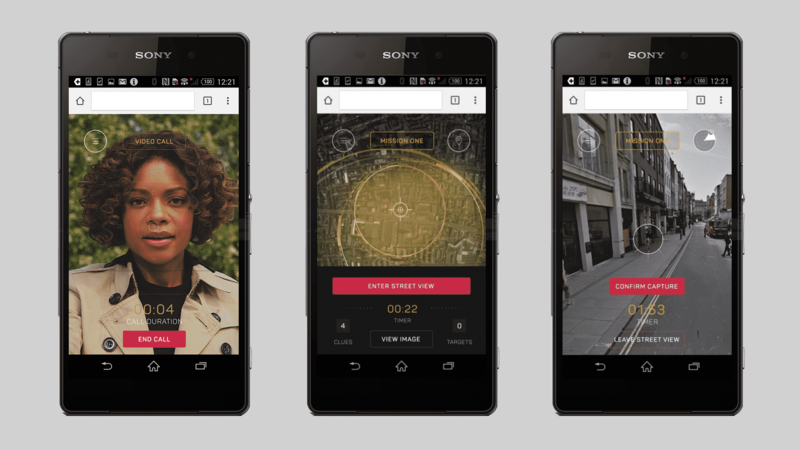 Using Naomie Harris, who plays Moneypenny in the Bond films, we followed the story of her being chased by assailants through Southbank in London, trying to deliver Bond’s new Xperia phone from Sony. 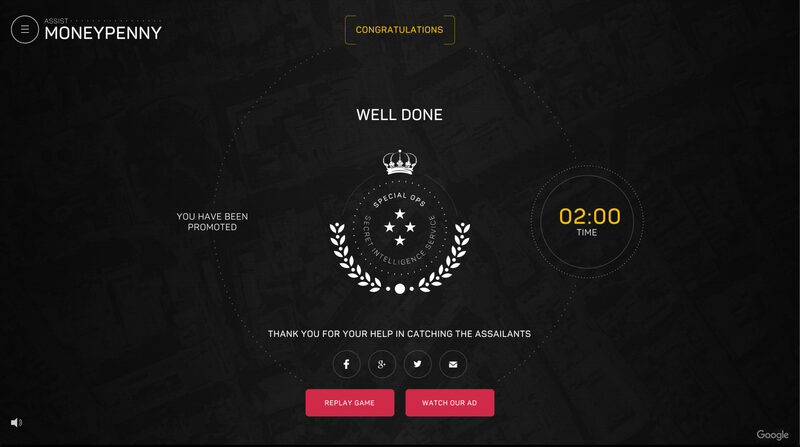 In order to extend this narrative beyond the film, we created a digital experience set in the runup to the TVC. 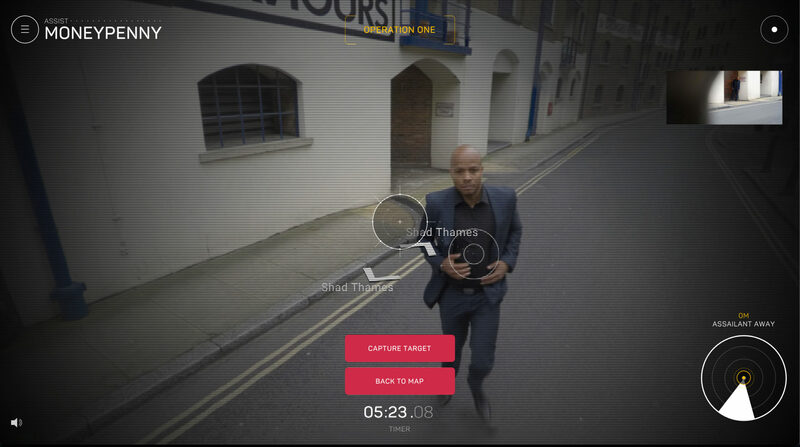 We wanted to amplify the experience of customers who had seen our TVC, engaged on social media and with digital banners and visited the landing page. Added to this, it’s an added experience, built around Sony, for the tens of millions of Bond fans who watched Spectre in cinemas. 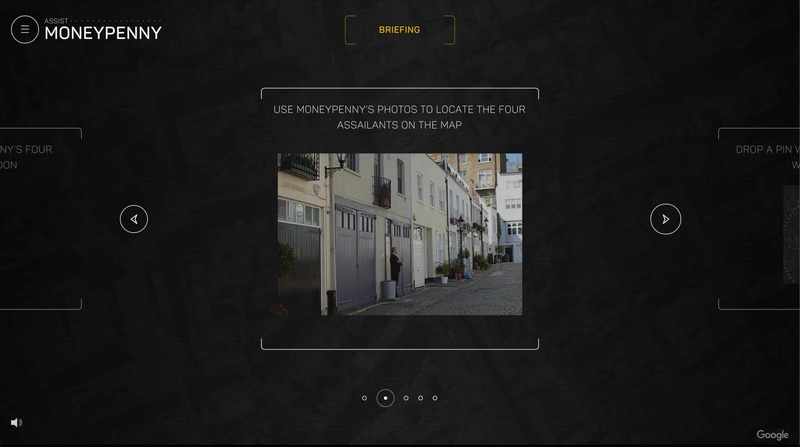 Taking the role of a Secret Intelligence Service agent, users had to analyze photos that Moneypenny has taken with her RX100iv and use them to track down her assailants within a map of London (using Google Maps and Streetview). 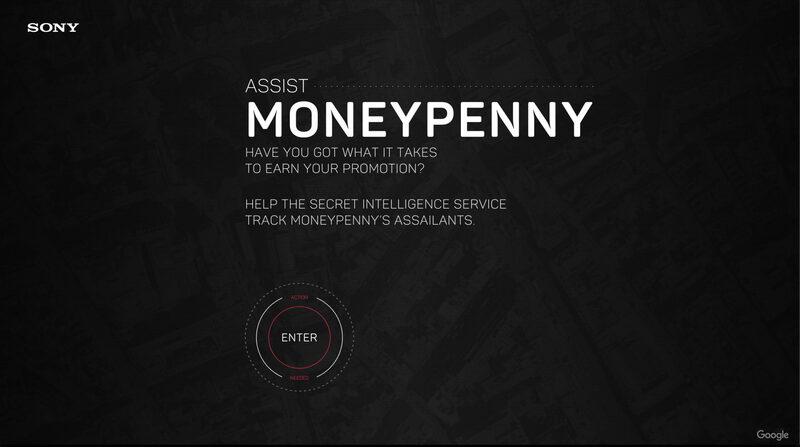 They did so against the clock, to help Moneypenny lose her tails and make the rendezvous with Sony. 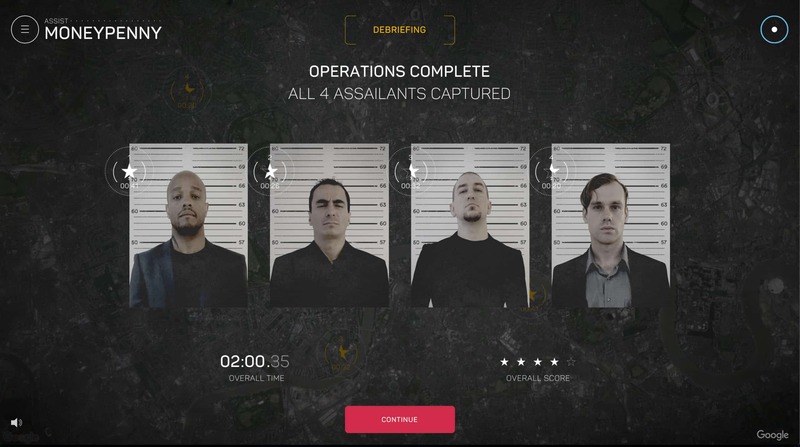 The aim of this digital experience, was to form part of a wider online consumer journey around the film and the Sony ‘Made for Bond’ campaign story. 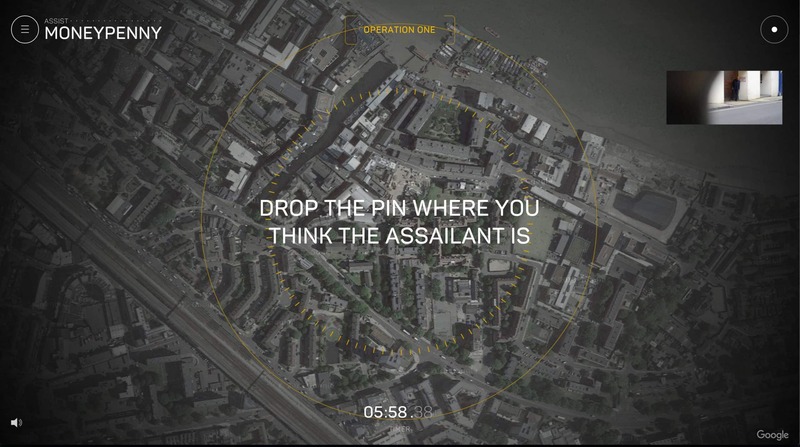 Key visuals used for digital display and print.